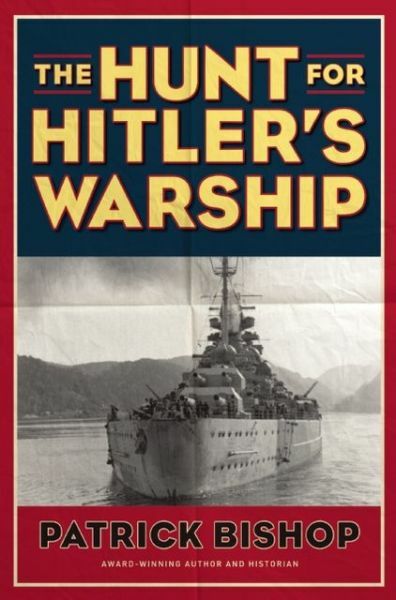 Regnery History, a relatively new imprint of Regnery Publishing, has brought readers yet another fantastic offering in Patrick Bishop’s The Hunt for Hitler’s Warship . Previous books from Regnery History reviewed here include Ships of Oak, Guns of Iron and Fatal Dive. Over the span of ~400 pages, Bishop familiarizes readers with the epic saga of the Nazi battleship Tirpitz from her gestation in Wilhelmshaven to her cataclysmic death at the hands of British bombers in November 1944. Bishop brings to life the tireless efforts of the Royal Navy, Fleet Air Arm, Royal Air Force and Norwegian Resistance to reduce Nazi Germany’s last remaining battleship Tirpitz to a worthless heap of scrap iron. The reader is also introduced to life aboard the Tirpitz through Bishop’s interviews with surviving crew and archival research. This aspect helps round out the work and present readers with a better understanding of both the dread struck in British military planners’ minds by the Tirpitz as well as the fear and trepidation experienced within the ranks of the Kriegsmarine at the prospect of the loss of the Tirpitz in a surface action. Unlike Hunting Tirpitz, which I reviewed earlier last year and is essentially a compendium of after-action reports by the British Admiralty, The Hunt for Hitler’s Warship, is an engaging work designed to bring the story of the sacrifices of British and Norwegian sailors and airmen to life for modern audiences.